Showing inks old and new for Inktober 2018. Here’s pencils and inks done for two upcoming Sally Forth dailies. 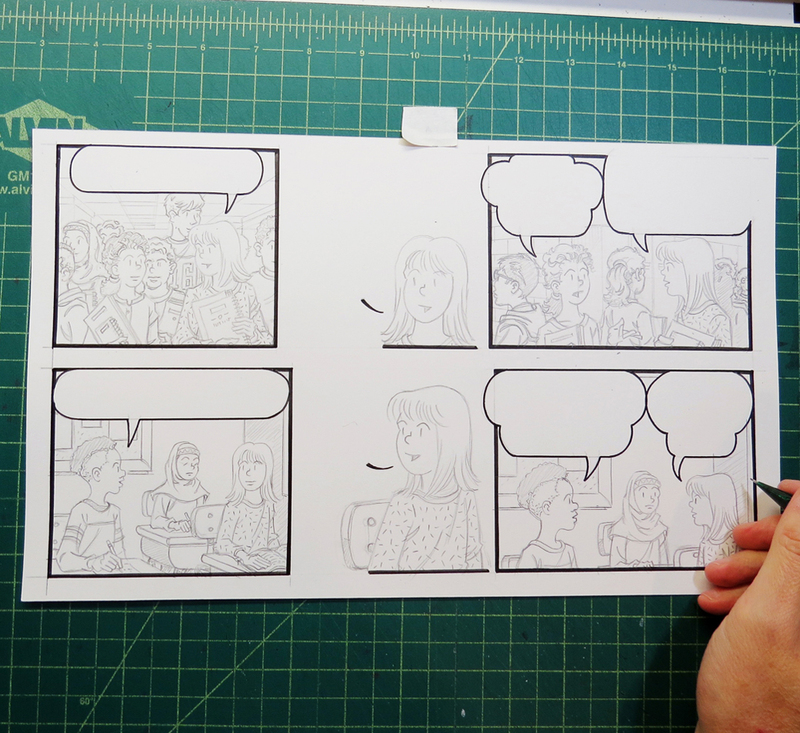 The space needed for lettering is figured out as part of the rough layouts that I light box onto bristol paper. I then scan the artwork and lay the lettering in digitally in Photoshop. Follow me on Facebook and/or Instagram to see more. This entry was posted in Sally Forth and tagged Inktober, Pen and Ink, Sally Foth. Bookmark the permalink. At least you didn’t draw full figures! Unless it’s a Sunday strip I usually don’t have the room. Daily strips are notorious for their tiny real estate for drawing.